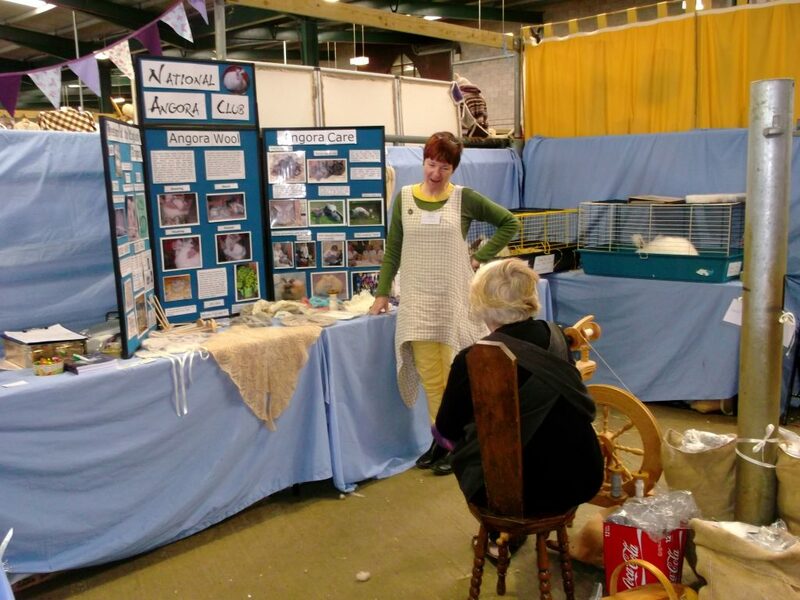 The National Angora Club have now planned the craft festivals for 2018. 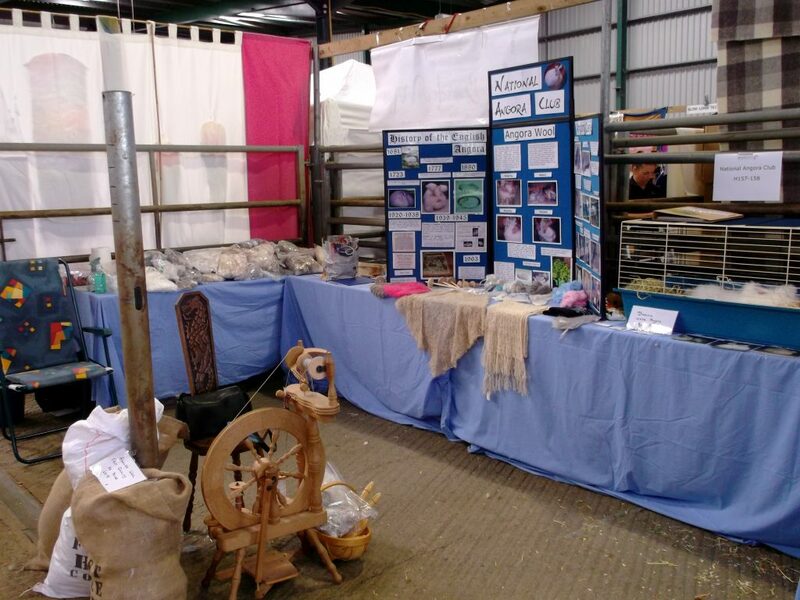 The Club will be attending Wool@j13 in Penkridge on Saturday 12th and Sunday 13th May. 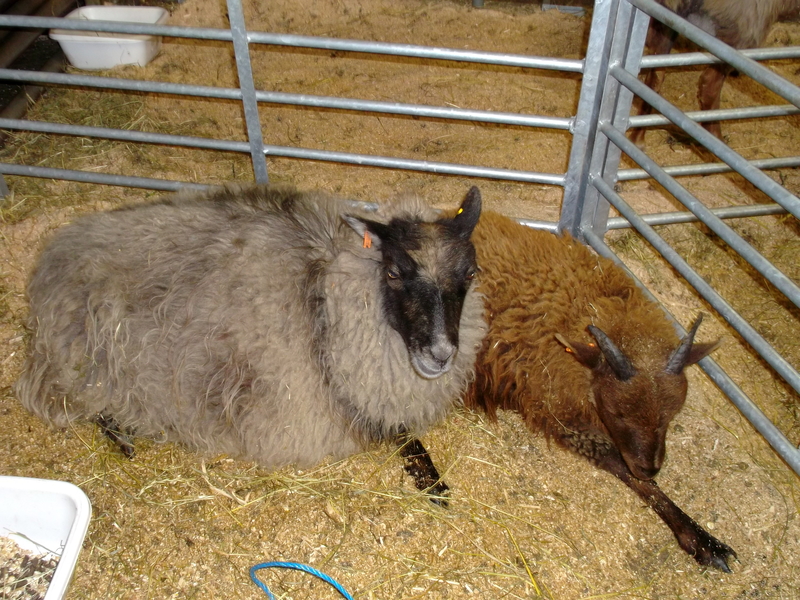 Plus Woolfest in Cockermouth on Friday 22nd and Saturday 23rd June, Fibre-East in Ampthill, Bedford Saturday 28th and Sunday 29th of July and British Wool Show in Murton, York Friday 10th and Saturday 11th of August. 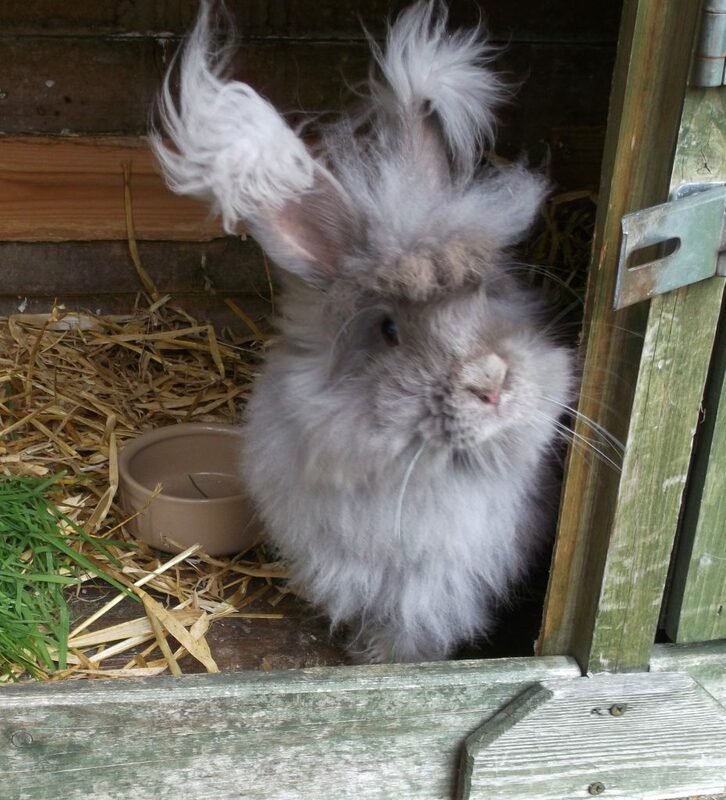 We will be selling our Angora wool, ethically produced from our garden rabbits, on the stand. 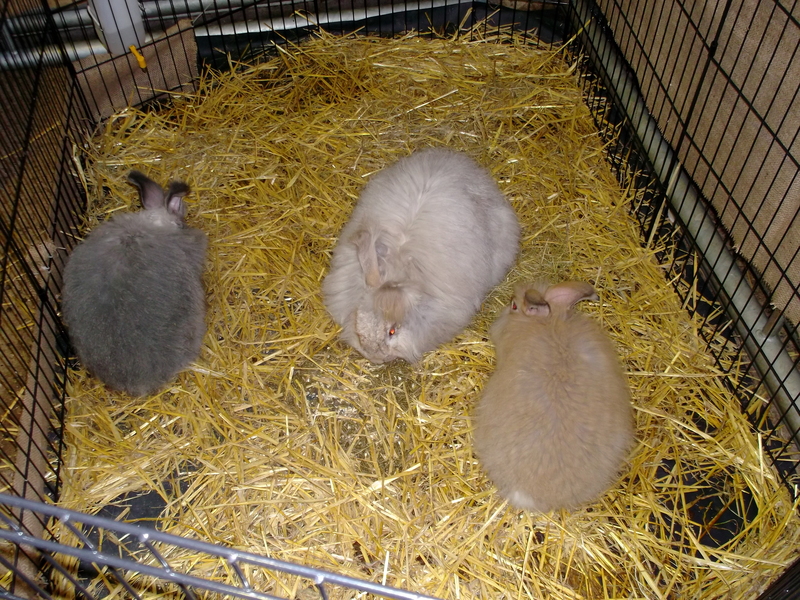 Angora rabbits will be on display. We will be bringing wheels and carders for demonstrations as well as spindles for sale. Free spindle spinning lessons given, no booking required! 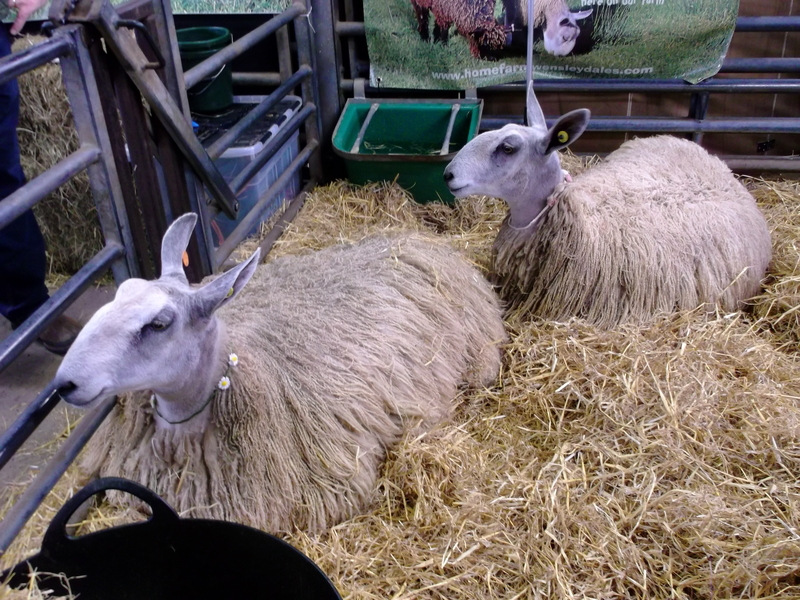 Angora rabbits are not the only animals on display! 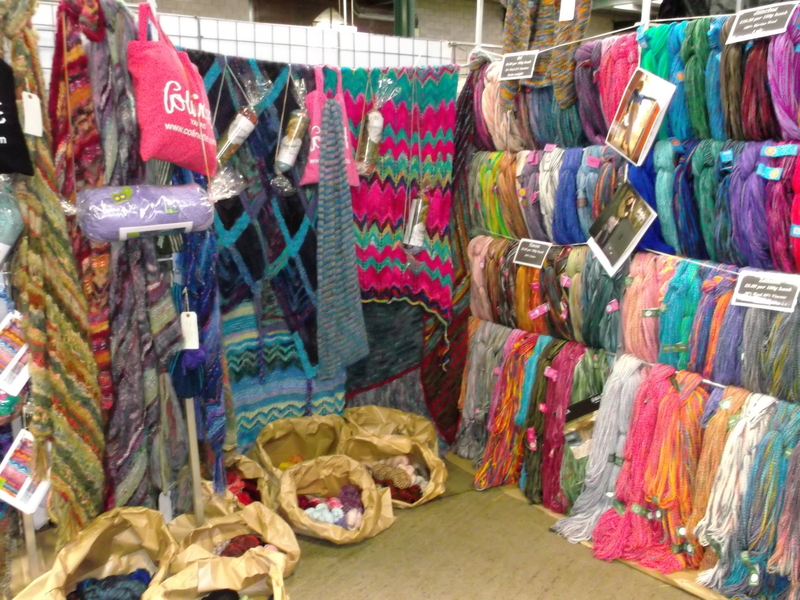 There are many talented fibre artists at these festivals with wool and other hand dyed fibres for sale, and all the festivals are well worth a visit. These are Continental Angora rabbits from Bigwigs Angoras at Woolfest. 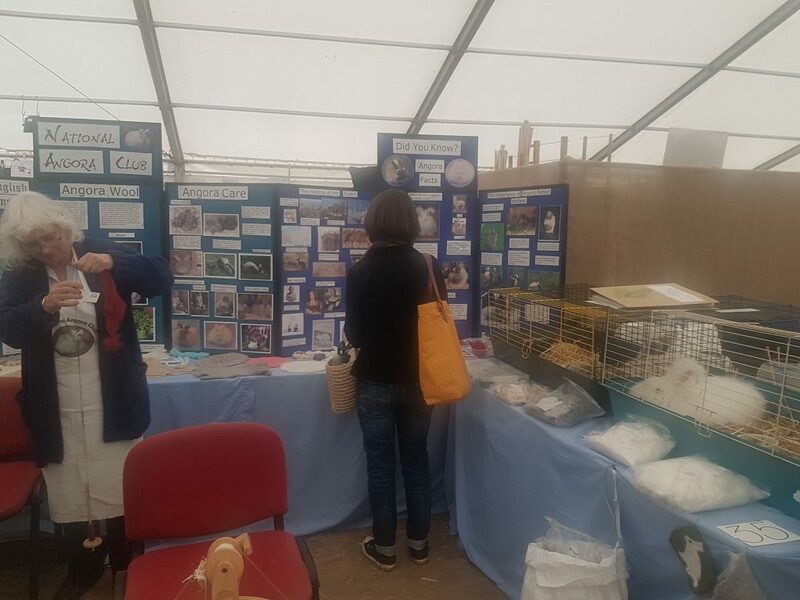 The craft festivals are a good opportunity for National Angora Club members and craftspeople to meet, share skills and, of course, see and talk about the rabbits! Posted 11/02/2018 by LH & filed under General interest, Wool Festivals.